Colorado College teaches its students to care deeply about people; to boldly pursue their dreams; and to work harmoniously with others toward common goals. Here are the stories of three graduates who have taken those lessons to heart. Winnie Barron majored in English and minored in education, but was a 36-year-old physician’s assistant in Oregon when she volunteered for rescue efforts after the 1994 genocide and war in Rwanda. There, she helped 5-year-old Marie, who had survived two weeks under a pile of her relatives’ bodies. The traumatized girl weighed less than 18 pounds and wasn’t expected to survive another day. But she did, and won Barron’s heart with her courage. She decided to adopt Marie, but had to leave Rwanda unexpectedly with an injured colleague – and without Marie. When she got home to Oregon, she learned Rwanda’s government had banned adoptions. She never forgot Marie, who had disappeared among the tumult of thousands of children devastated by the war. Barron spent years asking for help from everyone she could think of in the U.S. and African governments. Finally, in 1997, she signed up as a relief worker in the Kenyan village of Makindu, hoping she could get back to Rwanda and continue her search for the child. Barron soon gave away some more of her heart, this time to Kenya’s children left parentless by AIDS. She says the disease orphaned an estimated 1.1 million Kenyan children in 2011 alone, but notes that conditions have improved since her first visit more than 15 years ago. “Since 1997, when I first went to Kenya, there have been many undeniable positive changes and progress made. Back then, one could hardly speak of HIV/AIDS, as the fear, ignorance, and shame were too pervasive. Through the efforts of many nonprofit organizations partnering with the Kenyan government, AIDS is now an open discussion in schools, in the streets, and amongst friends and family members,” Barron said via email. 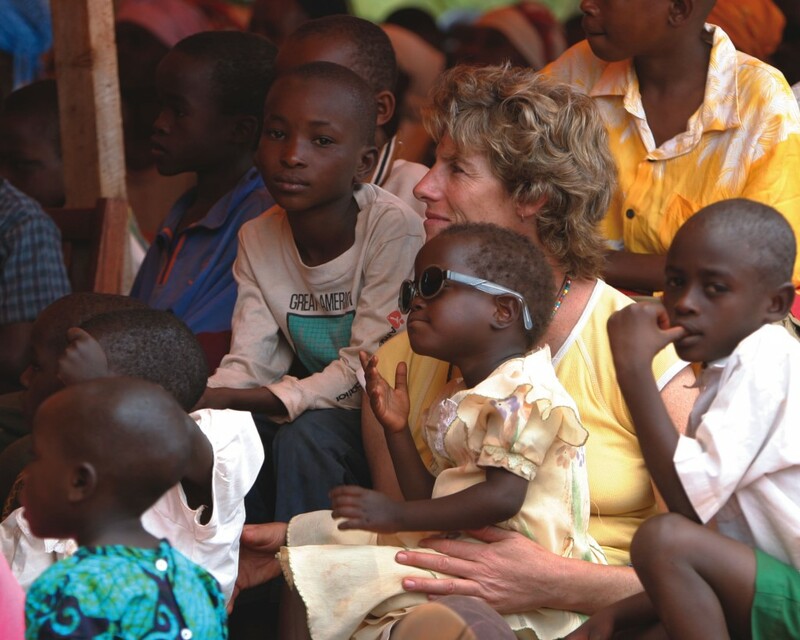 She returned to the United States and began planning a center for Kenyan AIDS orphans. Long story short: With the help of friends in Oregon and Kenyan teacher Dianah Nzomo, Makindu Children’s Program was founded in 1998. Barron and her allies formulated strategies with input from the villagers. They would place children with foster parents and open the MCP center so the children could get food, and wash themselves and their clothes. The children receive medical checkups and free schooling; they also get job training and instruction about nutrition and HIV/AIDS. They grow high-protein food in the MCP garden, which receives water from a well funded by MCP. The 13 paid Kenyan staffers are assisted by grateful villagers and a Peace Corps volunteer. For about $300 per child per year, they help 1,200-plus children, ranging from infants to 18 year olds. But many more are on a waiting list. “Finances toward our essential services are ongoing: health and medical care, nutrition, education, social services, shelter and advocacy; general donations are vital to help ensure these basic provisions are sustained,” Barron wrote. In 1999, Barron finally reunited with Marie. At first, the healthy little girl seemed unsure of the tall blond woman’s identity. But then her face lit up and they embraced, communicating eloquently despite the lack of a common language. Marie was living in an orphanage in Mugonero, Rwanda, but kept in contact with her surviving family. Before Barron left, she arranged to pay for the care of Marie and her younger brother. Barron continues to work as a paramedic and physician’s assistant in Oregon, returning to Makindu a few times a year, whenever her finances and work schedule allow. What she sees there renews her energy and determination. Africa has continued that education and Barron urges other CC graduates to follow their hearts in similar ways. Whitney Johnson was pursuing her psychology degree when she seized the opportunity to study in Cape Town, South Africa. 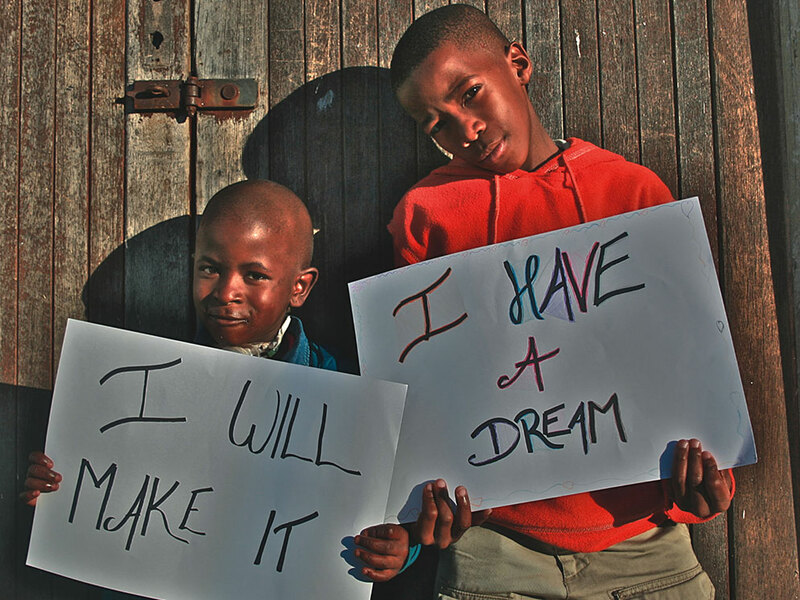 She soon began volunteering at an orphanage in Khayelitsha, a nearby township, and saw the desperate need there. 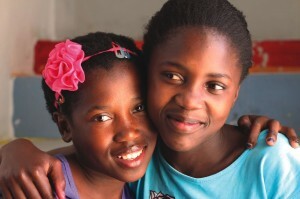 The high rates of crime, poverty, and HIV broke her heart, but that just motivated her to reach out to the children who were left alone to deal with HIV. In 2007, she founded Ubuntu Africa in South Africa, which has the world’s highest rate of infected children. That maturity and strength stemmed at least in part from her experience co-leading Aprender Mediante Amistad, a student organization that provides English as a Second Language instruction to children in Colorado Springs. She also qualified as a wilderness first responder and an emergency medical technician while at CC. Now, Johnson is Ubuntu Africa’s executive director, overseeing a staff of 16 full- and part-timers, most from the surrounding townships, who give the children the loving care they desperately need. The children receive health and social services, counseling, and nutrition education; they also learn to follow their antiretroviral regimes, avoiding drug resistance and other complications. But being kids, they also need to have fun. UBA offers enriching activities including art projects, yoga, kayaking, and surfing. Kids go on field trips to sporting events and museums. Johnson gets to join in the fun when she’s not too busy overseeing programs or working with Ubuntu Africa’s two boards. She also travels to the United States, the United Kingdom, and other areas to meet with supporters and partners. Recent fundraising events include a fashion show in upstate New York and cocktails at the Royal Automobile Club in London. Her plan for 2013 also includes hiring U.S.-based directors of operations and of development as finances allow. Today, South Africa has an estimated 333,000 HIV-positive children younger than 15, and HIV and AIDS are the leading cause of death in children younger than 5. Infected children are stigmatized, bullied, and neglected. Johnson copes with what could be debilitating grief and frustration by turning to nature and friends, a habit she picked up at CC. The Block Plan, she said, instilled a habit of working with intense focus followed by time for relaxation and recharging. 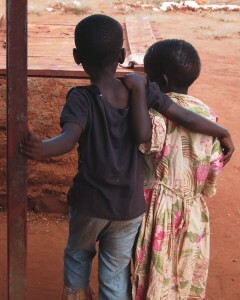 And she can always look to Ubuntu Africa’s successes. UBA’s efforts reduce the workload and financial strain for local clinics. Ntuthu Ntwana, the registered nurse on staff, monitors the children’s health and treats any infections. When they’re too sick to get to the center, staffers will visit their homes. In-home HIV care specialists visit homes four times a year to check on children’s well-being, make sure they’re taking their medicines correctly, and provide care when they’re sick. CC also taught Johnson the value of collaborating and appreciating others’ perspectives – lessons she uses every day in Khayelitsha. It seems inevitable that Nick Rogerson would be dedicated to the children of Ethiopia. His mother, Claudia Cooper, never forgot the kids she saw there. A few years later, the family adopted Meskerem, who arrived in the United States when she was 11. 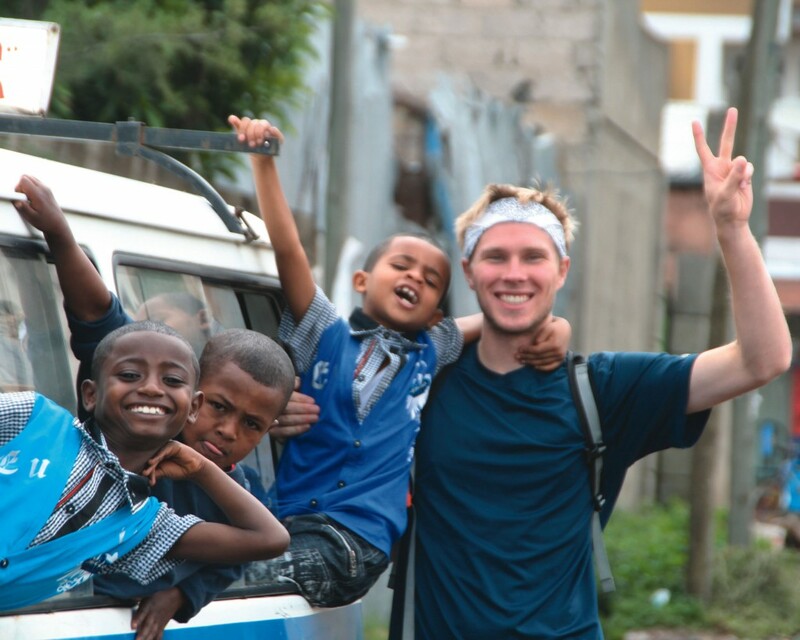 Rogerson visited Ethiopia with his mother and sister during his junior year at CC. “In addition to falling in love with the country and culture, we were impressed by the work being done by a couple of local organizations,” he emailed from Ohio, where he teaches philosophy at the University of Toledo. 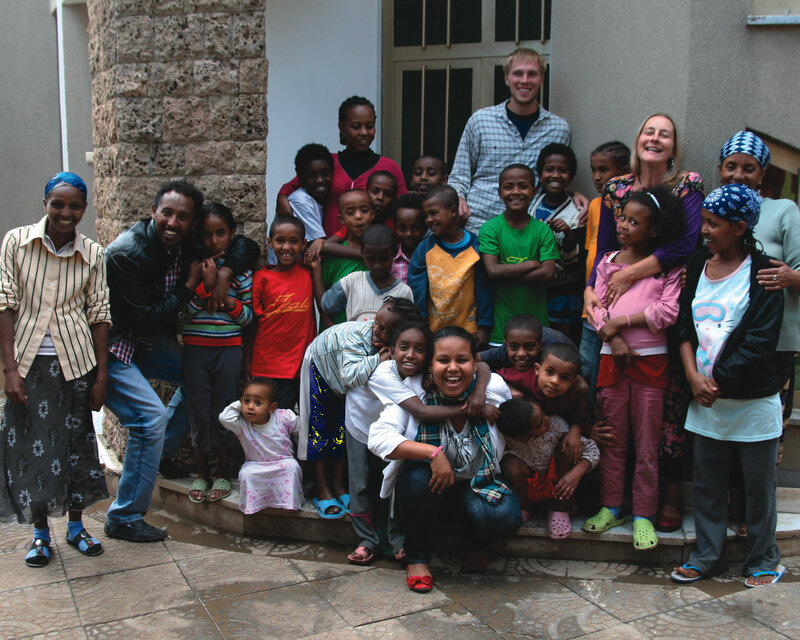 Soon after graduating from CC, Rogerson began talking about an Ethiopia project with his mother and Eric Hoest, her former student at Middlebury College, where she teaches. 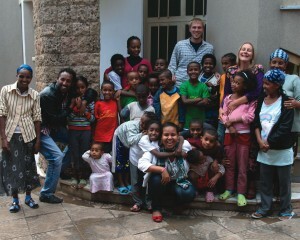 They decided the best way to help children in Ethiopia, which has more than 5 million orphans, was to create small group homes supervised by a “mom” or “auntie” – women who have no other family. “Larger orphanages often can’t provide the loving support that children need, the focus on health care and education, or the focus on the future and community building,” he said. 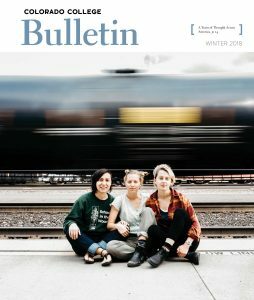 The three founders – now the all-volunteer board – formulated proposals, manuals, and mission statements. They navigated red tape thousands of miles away. They recruited local staff, plus volunteers to work in Addis Ababa and the United States. They established ties with the local government so that it would place vulnerable children with the newly christened Betasab – “family” in Amharic, Ethiopia’s official language. After extensive staff training, the first home opened in May 2012. By year’s end, they’d opened three homes (one a rental) for 21 children saved from lives on the streets, in orphanages, or in slavery. “Our homes are close-knit families. Our kids don’t get adopted; we want to focus on helping build Ethiopian communities, hiring Ethiopian employees, and helping our children become happy, productive members of . . . whatever society they choose,” Rogerson wrote. In addition, Betasab provides educational opportunities to 10 more children through the “Learning Lions” program, which supports children in the community. And local women are assisted through income-generating programs. The problems are daunting: Ethiopian children face more than their fair share of diseases, including HIV, malaria, tuberculosis, and polio; educational opportunities and health care are scarce; and young women are vulnerable to the rampant prostitution and trafficking. But he’s found that his CC experience gave him the tools he needs. “CC instills a culture of activity and enthusiasm that quite easily translates into work like this. CC kids care passionately about social justice and the faculty is really engaged, supportive, and caring,” Rogerson wrote. What advice would he give others contemplating a similar life path? Here’s what it takes each month to make Betasab happen: $5 buys medication for one child; $15 for schooling for one Learning Lion; $30 for fuel for one house; $50 for food for one child; $110 for schooling for one child; $150 for ongoing training; $200 for full sponsorship of one child (part of which funds savings accounts); and $400 for full operation of one house. When asked about what his life would be like without Betasab, Rogerson at first joked that he’d have a lot more free time. But then he looked inward. Rogerson returns to Ethiopia whenever he can, and that’s when he’s “paid” for his efforts. “The reward comes when you see children who were living on the streets, and are now sheltered with siblings and a mom/auntie, and are happy, healthy, well-fed, and attending school. But, I also want to say that to focus too much on the suffering would be to forget that it’s not just that; it’s a beautiful, compelling country, with a proud history. The people are warm, graceful, caring, and gorgeous.